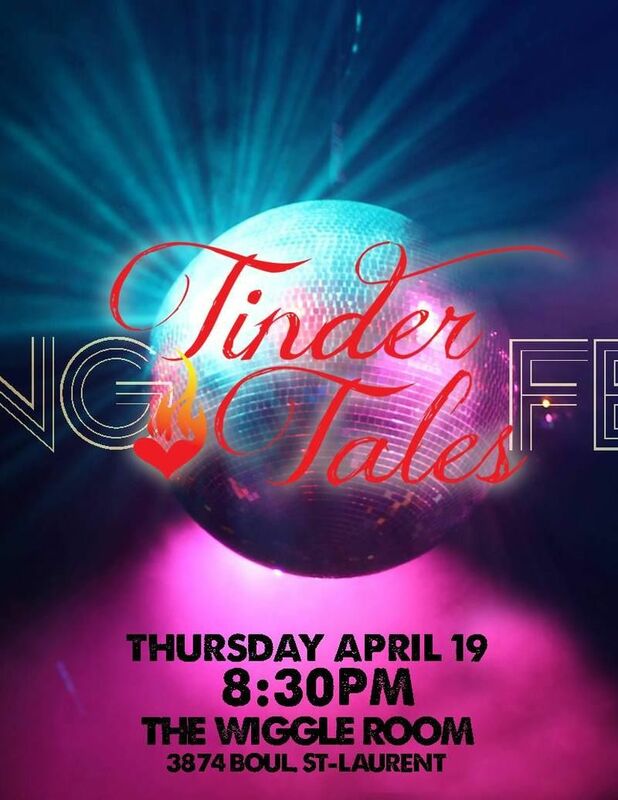 Tinder Tales, the show that has taken Toronto by storm has finally arrived... in Montreal!! This third show of the season continues at the The Wiggle Room and will feature a wild mix of acts sharing their crazy, hilarious, ridiculous and all around memorable dating experiences. Carefully curated for maximum enjoyment, we hand pick the best and the funniest stories for your viewing pleasure, presented in a quirky and cozy cabaret on the Main. +surprise guests?? Only one way to find out!! Hosted by your friendly neighbourhood Emma Wilkie, this is a Spring Fever you will NOT want to vaccinate against!